Due to new regulations, previous registration forms are no longer in use. New registration forms are available from the office. Silhouette drawings must be completed when registering foals. Please ensure that you complete the silhouette using red ink for white markings before submitting your registrations forms. On-line registrations are no longer available. This facility has been withdrawn as incompatible with new regulations. Registration forms are only available from the office and photocopies are not acceptable. Please select a link below for an example of a completed form for both solid and broken coloured ponies. Shetland ponies are issued with a Stud-Book number when the breeder registers the pony. This number remains with the pony throughout its life. When a filly has her first foal, a colt is registered as a gelding, or a colt successfully passes the Voluntary Veterinary Examination to become a stallion, an additional mare, gelding or stallion number is added to the pony's record. Passports issued by the SPSBS combine the pony's registration document as well as the required pages for passport legislation. All foals should be registered by 31st December in the year of birth or by the time they are six months old, whichever is later. Registrations after this time and before reaching twelve months of age are classed as late registrations. Late registrations will be accepted but will incur an additional fee and passports issued will be marked "DUPLICATE". Registration of foals sired by an unlicensed colt will also incur an additional fee. (See current prices on the left) Foals that are registered with the Society will receive a combined Registration and Passport document providing the required fees have been paid. If you wish you may register your Shetland pony with the Shetland Pony Stud-Book Society but obtain a passport from another passport issuing organisation. However this passport will not contain any of the registration and pedigree details about your pony. Foal names must be a maximum of 40 digits long including any prefix and spaces, apostrophes etc. When a filly has her first foal registered with SPSBS, she will need to be registered as a mare and will then be allocated a mare number. An entry recording her as a mare will be made in the Stud-Book for that year. A fee is payable for the mare's registration as well as for the foal. Please return your first foaling mare's passport to the office so that her new details can be updated. Should you be unfortunate enough to have a stillborn foal, you may still record the birth if you wish. Simply complete the registration form in the usual manner however you need only complete the front of the form. If you wish only to record the birth, you need not name the foal and the Stud-Book entry will show "Dead Foal". No fee is payable for this unless it is the mare's first foal, in which case only the mare's registration fee is payable. If you wish to name the foal, the registration fee will be payable. Registrations will be accepted but all ponies 12 months of age and over are required to be fully DNA parentage tested before being accepted for registration. It may be that one or both parents are already DNA tested - if in doubt please call the Society office - 01738 623471. Please note that the S.P.S.B.S. is a Stud-Book for pedigree (pure-bred) Shetland Ponies. 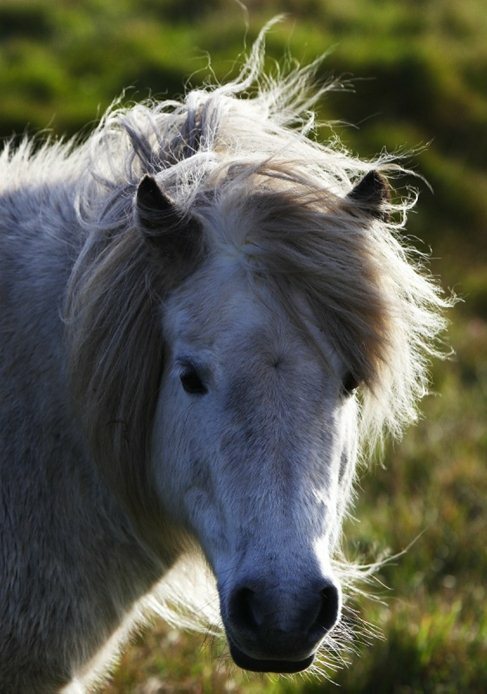 All pedigree Shetland Ponies will have originated from the United Kingdom. Therefore to enable any pony to be entered and registered within the S.P.S.B.S. stud-book, pedigree must be shown to trace back to the Stud-Book of origin. No pony will be accepted unless pedigree is proven to the satisfaction of the S.P.S.B.S. Once pedigree has been established and registration forms completed with correct payment, ponies will then be accepted into the Stud-Book. The following list of colours is acceptable for pony registrations in our studbook. If any member wishes to use a description of a colour not on the list they should first to apply to council who will discuss the matter. Any colours not on the list will be returned for amendment. Please note that the term "Smoky" or "Smokey" is not permitted. BLACK Where black pigment is general throughout the coat, limbs, mane and tail, with no pattern factor present other than white markings. BROWN Where there is a mixture of black and brown pigment in the coat. BAYS Bays vary in shade from dull red or brown, to a brighter colour approaching chestnut, but it can be distinguished from the chestnut by the fact that the bay has black on the lower parts of the limbs, a black mane and tail and often black tips to the ears. CHESTNUT This colour consists of a muted orange body varying in intensity from reddish to gold. Depending on the depth of colour, chestnuts can be light, dark/liver or bright. A true chestnut has a chestnut mane and tail which might be lighter or darker than the body colour. Chestnuts may also have flaxen manes and tails. GREY Where the body coat is a varying mosaic of black and white hairs, with black skin. With increasing age the coat grows lighter. As there are many variations according to age and season all of them should be described by the general term grey. PIEBALD The body consists of large irregular patches of black and white hair. SKEWBALD The body consists of large irregular patches of white and any other definite colour except black. PALOMINO Newly-minted gold coin colour (lighter or darker shades are permissible), with a white mane and tail. CREMELLO Cremello is a horse coat colour consisting of a cream coloured body with a cream or white mane and tail. It occurs when a horse is homozygous for a dilution gene sometimes called the cream gene acting on a red (chestnut) base coat. Such horses have pink skin, blue eyes, and are a light cream or gold colour when born, but sometimes fade to almost white as an adult. CREAM As above, but with dark eyes. Coat may vary from very pale cream to dark cream. Perlino ponies have cream coats with pink skin and blue eyes. The cream colour can vary from a very pale off white to a pale coffee colour. The mane and tail are often darker for perlinos than for cremellos. Perlinos have a base coat colour of bay or brown and are homozygous for the cream dilution gene. ROANS White hairs throughout the coat give a roan effect. Roans are distinguished by the ground or body colours, all of which are permanent. A basic colour must be given when describing roan e.g. blue roan, strawberry roan, etc. On the limbs hairs of the ground/body colour usually predominate, although white markings may be encountered. DUNS Duns vary in body colour from cream or light grey to chestnut or brown, but are distinguished by having darker limbs and a dorsal/eel stripe along the back. A basic colour must be given when describing dun e.g. blue dun, cream dun, yellow dun, etc. Body colour can vary from a creamy golden to rich golden colour with black points, mane and tail. Buckskin ponies are similar to dun ponies in appearance, but lack the dorsal/eel stripe of the dun. Buckskin ponies are the result of a cream dilution gene on a bay pony. FLESH MARKS These appear normally on the muzzle where skin pigment is absent and should be marked as a solid red area. ACQUIRED MARKS For example, scars, should be marked within inverted commas on the diagram. Freeze-marks should also be described and their location indicated in the relevant diagram.